More babies, and more new does! We have had more babies born and bought a few more Nubian does. Here's the updates. 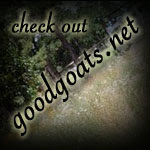 I am going to try and work on the website in within a few days and get new pictures and info up on everyone. Last Friday we picked up our two new Nubian does, Maggie and Rosie (mother/daughter). They are beautiful girls, and they produce like pros with great udders! They are both a pretty brown with white ears, and their udders are very nice with very easy to milk teats. Pics will be up on the website soon, Lord willing. Thank you Linda Denmark!! 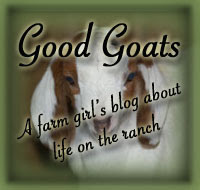 As for babies born, Northwest Goats Lil' Prissy kidded to a beautiful doeling on the 25th. Her sire is Junior Mint and she is a F1. She is just adorable though! Her ears are super long, her type is very nice, plus she is extremely colorful and is a sweety. Her dam is a wonderful milker with a very nice udder and her sire comes from great milking lines also. We are keeping her and her name is Starlight Mint ("Starlight"). Then yesterday, the 30th, PawPawNin Verona kidded to beautiful buck/doe twins. They are both very colorful and have nice ears. Verona is milking very good also! The only problem is that the buckling's front feet are a little deformed - when he stands or walks, he is walking ontop of his foot. Hopefully that will straighten out with time. He got a BoSe shot also. We are thinking about keeping the doeling. She doesn't have a name yet though! Time to go. Have a great day! We have a beautiful 3rd generation MiniNubian buckling for sale. 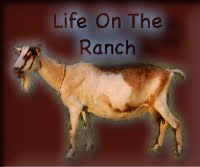 He comes from great milking lines, and I can send udder pictures of his dam (PawPawNin Willa) and related does. He is about 7 weeks old and is being dam raised. He is a very flashy little guy also, and has nice pendulous ears, though he does have some ear control. We are asking $100 (negotiable) for this handsome buck. Located in Northeastern Oklahoma, transport might be workable to various states. I think it's well overdue time for another post. I've just been busy lately. Here's an update on everything. Baby kidded on February 27th, around 2am to two beautiful bucklings. We are keeping on of them as a wether, and the other one is sold already. Baby ended up not doing so great and getting very thin, and not milking as much as she should. She is doing a lot better now and putting weight back on. Needless to say, our feed program has changed some and all dairy goats are getting ALFALFA! Next doe due was a Togg doe named Jess. She kidded on March 3rd (on day 148) to a buckling that looked very premature. I don't have a clue why that happened. He did not make it :(, and she didn't have any other kids. Everyone else is doing great though! 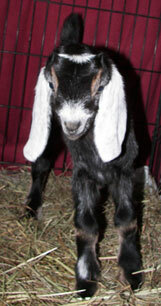 All of the kids are sold except for one F3 Mini Nubian buckling - see below for more info on him. We now only have 5 does left to kid. They are - Prissy, due tomorrow; Verona, due April 1st; Vanilla, due May 13th; Doris, due May 25th; and Whitney, due June 8th. We also have a Nubian/Boer doe that is due in May sometime - I forgot to write down when she was bred! gh Willa has lots of the same lines as lots of our other Minis, she will be a great addition to our herd. Look at that udder! Willa is also a very small doe, about the size of a Nigerian. We are keeping one of the bucklings, but the other is for sale. Email me if you are interested in him (sf@goodgoats.net). I think that's all the updates for now. Have a great day!